At Oxford and Saint Andrews universities, researchers investigated what factors make youngsters more social adults. 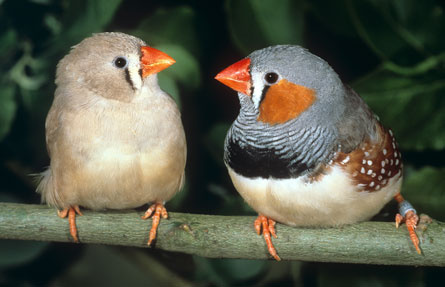 The researchers turned to friendly birds – zebra finches – for insight. Here’s the experiment: Half the chicks were fed plain peanut oil. The other half were fed oil laced with the stress hormone corticosterone (cor-tuh-COST-er-own). All chicks were fitted with electronic tags to record their movements.